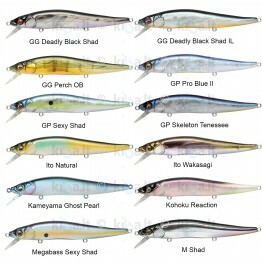 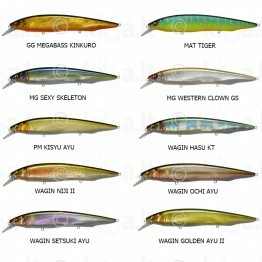 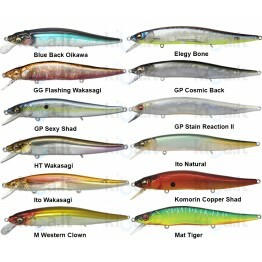 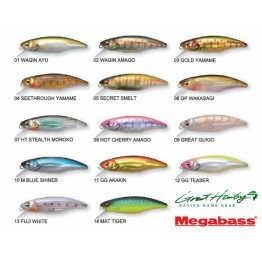 In 2005, the company has added MEGABASS Griffon series models by ul lures Baby Griffon. 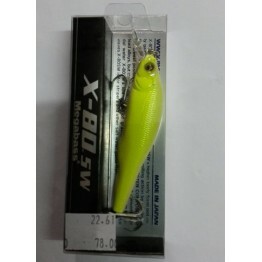 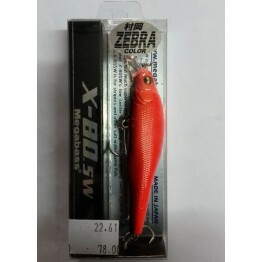 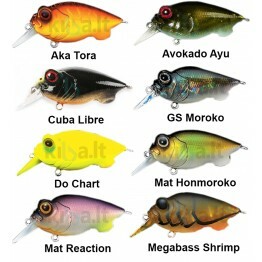 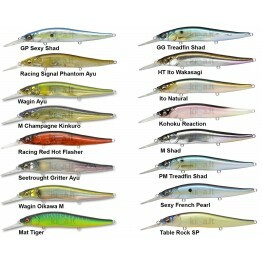 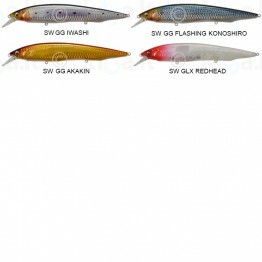 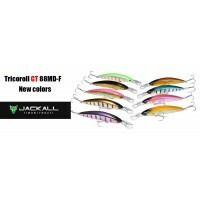 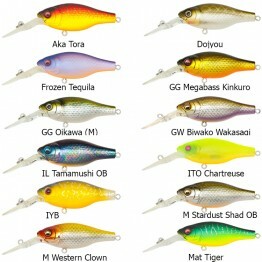 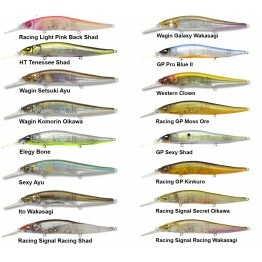 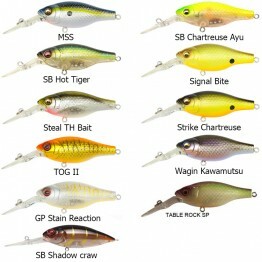 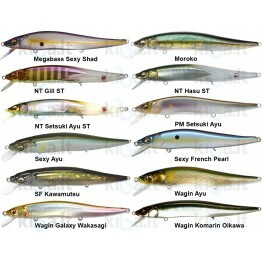 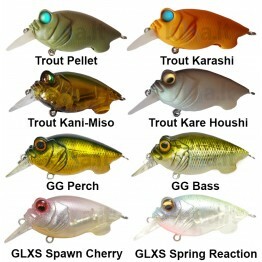 As Elder ser..
Deep-X 100 has a patented system for the multi-casting (Multiway Moving Balancer System), which is t..
From the personal tackle box of Yuki Ito comes the ITO-SHINER, the handmade jerk bait that inspired ..
New MEGABASS wobbler Kanata looks like a flattened significantly Vision series of bait. 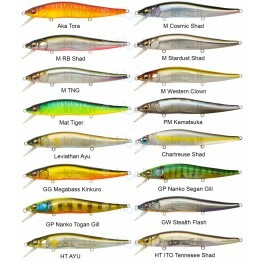 High, flat b.. 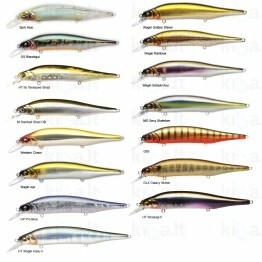 Vision 110 ONETEN - a true legend began in 2000. 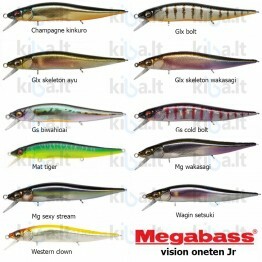 The Vision 110 ONETEN be largely contributed to the..
Megabass vision oneten +1 is a mid-range jerkbait designed to increase the depth of the original one..